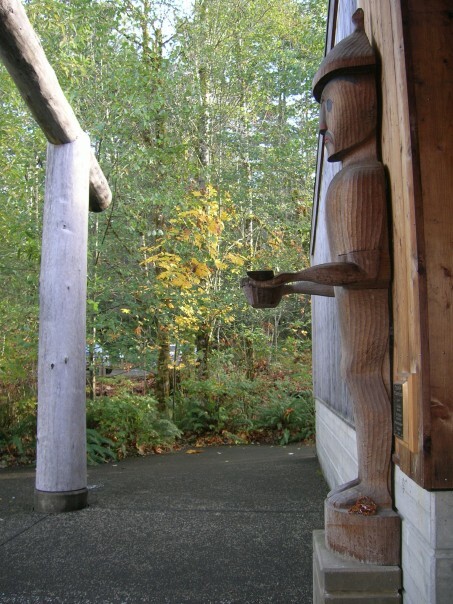 Learn about the many cultures and regional Native communities that collaborated on the design and construction of this center—attend a Native arts fair, hear Northwest story tellers, or watch a Tsimshian Fourth Generation dance performance at The Longhouse Education and Cultural Center at Evergreen State College. The Longhouse exists to provide service and hospitality to students, the college, and surrounding Native communities. With a design based in the Northwest Indigenous Nations’ philosophy of hospitality, its primary functions are to provide a gathering place for hosting cultural ceremonies, classes, conferences, performances, art exhibits and community events.